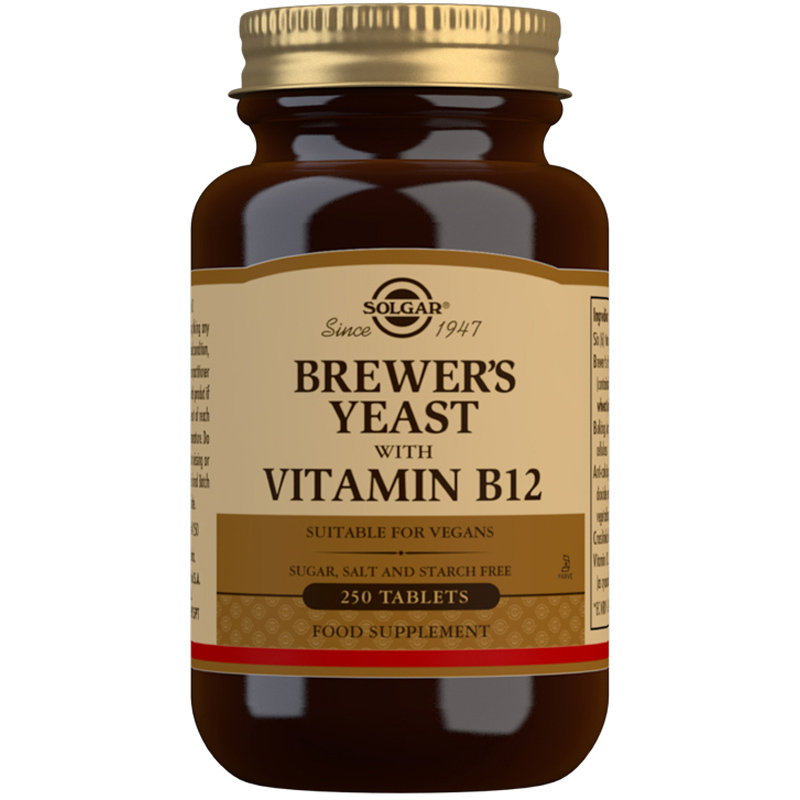 Solgar® Brewer's Yeast with Vitamin B12 is a source of B Vitamins in tablet form. Brewer's Yeast is sometimes referred to as nature's wonder food, and is a traditional way to take B vitamins. Ingredients: Brewer's Yeast Powder, (contains barley, wheat, sulphites), Bulking Agent: microcrystalline cellulose, Anti-caking Agents: (silicon dioxide, vegetable stearic acid, vegetable magnesium stearate), Crosslinked Cellulose Gum, Vitamin B12 (as cyanocobalamin). 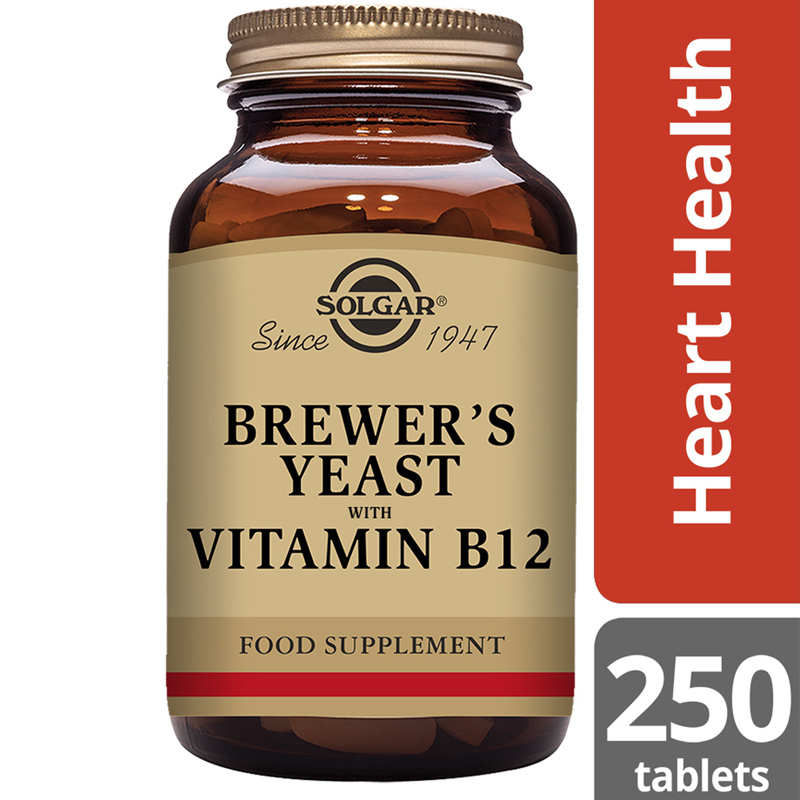 Solgar® Brewer's Yeast with Vitamin B12 is a rich source of B Vitamins in tablet form. Brewer's Yeast is sometimes referred to as nature's wonder food, and is a traditional way to take B vitamins. It has several health benefits and is an easy way to supplement your diet with key nutrients. 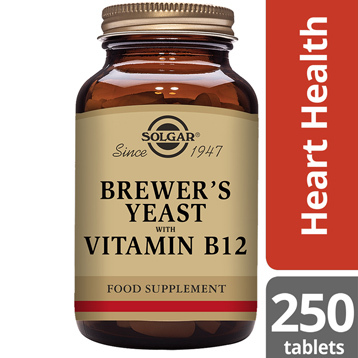 Solgar® Brewer's Yeast with Vitamin B12 comes with a healthy dose of Vitamin B12. A vitamin which has a number of different roles in the body such as reducing tiredness and assisting in the release of energy from foods. Beyond energy support, Vitamin B12 has several health benefits supporting general wellbeing such as supporting the immune system and the formation of red blood cells. As a food supplement for adults, six (6) tablets daily, preferably at mealtime, or as directed by a healthcare practitioner. Do not exceed directions for use. If you are pregnant, nursing, taking any medications or have any medical condition, please consult your healthcare practitioner before taking this product. Avoid this product if you are allergic to yeast.